“There is a mouse hole in my shutter” said one of my clients when I revisited them after their shutters were fitted. And yes, indeed there was. So what was that all about? What is a mouse hole? You can move a tilt rod or tilt bar (which is connected to all the louvres) up or down in a vertical direction. Using a hidden mechanism, you can tilt just one louvre and all the others will move as well. If shutter louvres are operated via a tilt rod or tilt bar, a small concave shaped groove, recess, indentation or cavity is cut into the top rail of the shutter as shown in my photo above. This groove is what the top of the tilt bar nestles into when the louvres are fully closed. Where is the shutter mouse hole sited? A mouse hole is sited in the top rail of a shutter and is usually cut into the centre of the rail. In this scenario the tilt rod (which moves the louvres) runs down the centre of the shutter panel. The mouse hole can also be positioned off-centre, i.e., completely to one side of the top rail. In my photo it is positioned to the side so that the tilt rod does not restrict your view through the shutter. What are the advantages of a shutter mouse hole? It creates a discrete and neat place for the tilt rod to rest when the louvres are closed. It highlights to the fitter which way up the shutter should be installed. It allows the shutter to close fully, i.e., more tightly. As it can be made longer and wider if a customer specifically requests this, it can add to the aesthetics of a bespoke shutter. If you look at how precisely and smoothly it has been carved, it can give you an insight into product quality and the manufacturer’s attention to detail. 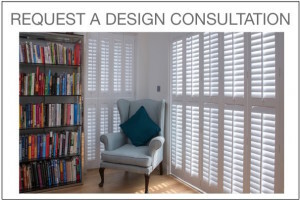 In summary, the terminology that is used in the world of shutters can be alien and quite confusing to clients and customers. So the next time you hear someone say “There is a mouse hole in my shutter” there is no need to panic and no urgency to contact a vermin exterminator. 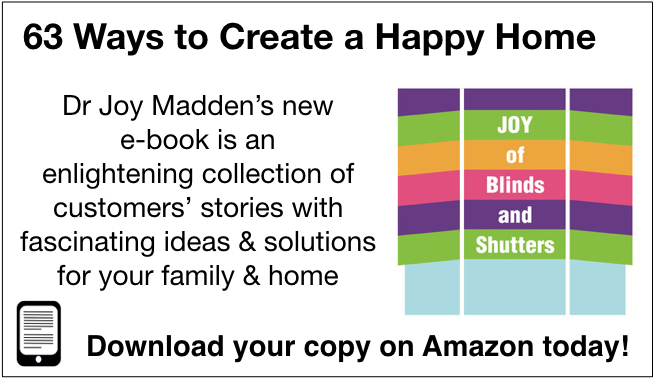 Dr Joy Madden is an independent Lifestyle, Blinds and Shutters Consultant and founder of 'The Joy of Blinds and Shutters'. 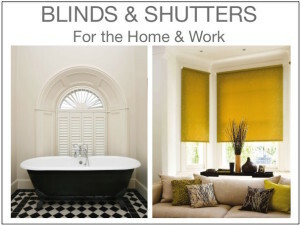 She has spent over 30 years in multidisciplinary research to transform lifestyles, and specialises in bespoke Blinds, Shutters, Awnings and Insect Screens. She advises individuals and businesses on specialist products that change the way you use your living and work spaces. Her passion is Partnerships.